Let’s face it: everyone loves brunch. It’s the breakfast of kings and college students and the lunch of early-risers and eager families. It's the late morning/early afternoon combination of two meals in one, and for what it implies, it's arguably the greatest portmanteau in the English language. Brunch is all about leisure and indulgence, a slow meal spent in good company. It's a weekend reward where you can feel guilt-free about skimming right past the granola and yogurt option and going straight for the pancakes and bacon. But to feel extra-deserving of those extra-calories, sometimes you have to work for it. 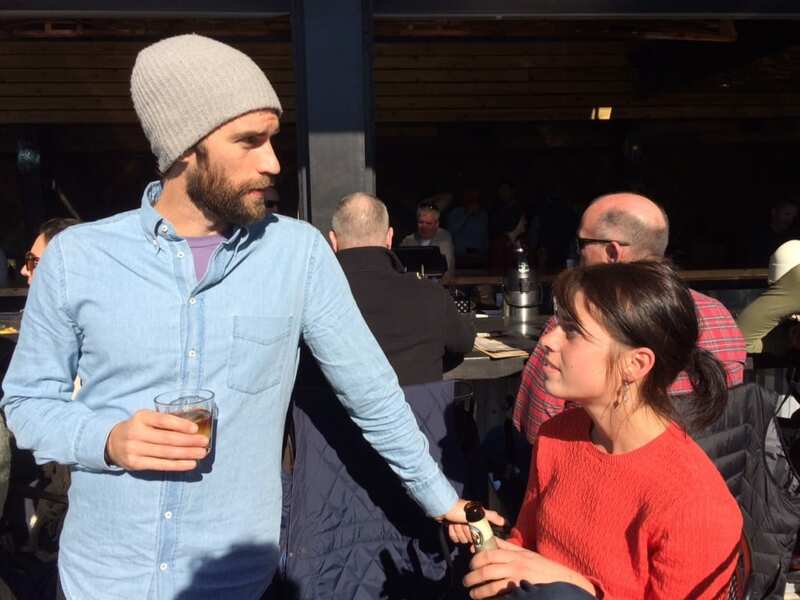 Here, we’ve come up with a collection of Chattanooga's finest pairings of runs and brunches to satisfy any runner’s appetite. The great thing about a run through the North Shore and Bluff View districts of Chattanooga is the endless options when mapping your route. Ample parking behind Frazier Avenue allows dog-walkers and runners easy access to the pedestrian-only Walnut Street Bridge that connects North Shore with the Bluff View Art District. Park here for a run across the Walnut Street Bridge and loop through the sculpture garden by the Hunter Art Museum. Make your way back the same way you came, or via the Market Street Bridge for a longer loop. On weekends, it doesn't get much better than brunch at The Daily Ration, a locally owned gem that's been a neighborhood favorite since 2016. You'll find high-end coffee as well as well-conceived takes on breakfast/lunch staples and original dishes that you won't find anywhere else. The corned beef hash, huevos rancheros, and southern benedict are all excellent, while you may want to push yourself with something new like the coconut green curry or kimchi rice bowl. You also can't go wrong with the chicken and grits. 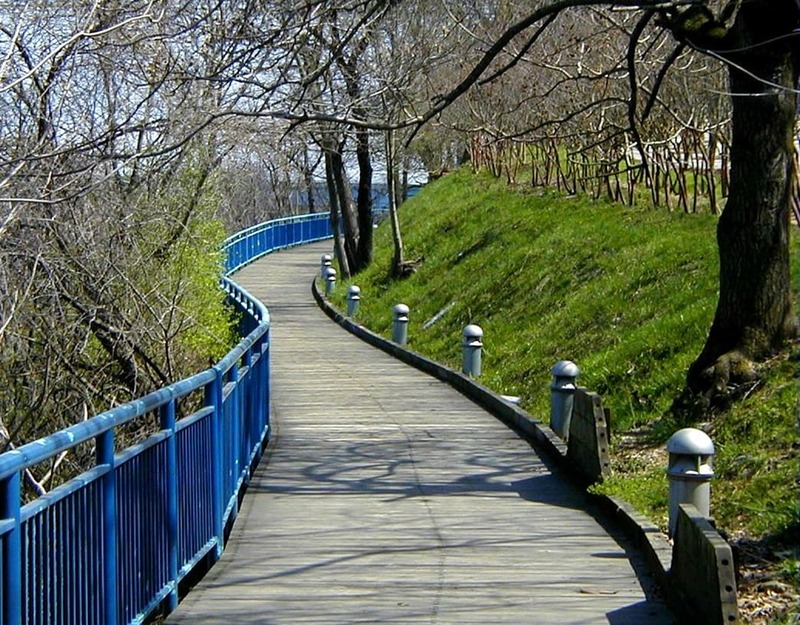 Chattanooga’s Riverwalk is a gem for local runners. 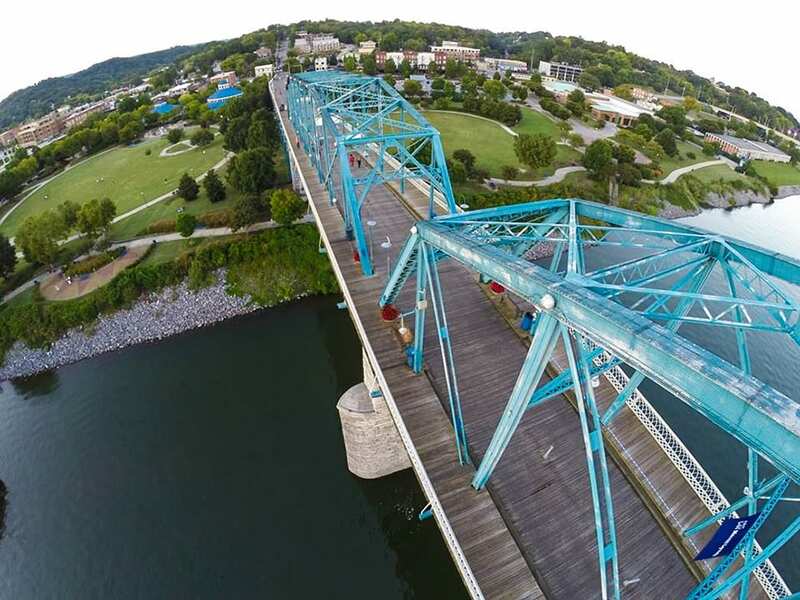 The Riverwalk follows the course of the Tennessee River for 6.5 miles, from the Chickamauga Dam to Ross’s Landing with various points to park along the way. Use Hamilton County Park’s map with a mileage breakdown for each segment of the Riverwalk to chart your route. Moderate distance runners can get in up to 13 miles in an out-and-back run down the Riverwalk, but the segments can be broken down into shorter runs as well. Regardless of the distance, a morning run down the Riverwalk is best rewarded with a trip to Aretha Frankensteins, an edgy diner just as characteristic of Chattanooga as the Tennessee River itself. It’s no secret that Aretha’s offers an amazing breakfast and the wait on weekends can be quite long, so plan to get an early start! Luckily for locals, Aretha’s does offer breakfast everyday (open at 7am) and a weekday trip may help skirt the crowds. Expect a spin on the traditional at Aretha's, pancakes an inch thick, seriously hearty omelettes, and breakfast platters that let you sample it all. Nestled beneath the western slopes of Lookout Mountain, Reflection Riding Nature Center & Arboretum is an outdoor oasis dedicated to wildlife conservation. Reflection Riding plays host to over 15 miles of trails that cover diverse terrain from sweeping meadows to forested hillsides, along with a 3 mile driving loop that is also quite popular with runners for its mostly flat, gravel course. The time to get in a morning run at Reflection Riding is during the winter months is Saturday when the center opens at 9:30am (open at 12:30 Sundays, closed Monday-Friday). In the spring and summer, the hours of operation change. Follow a serene run at the nature center with a hearty brunch at Bluegrass Grill on Main Street. The homy dining room, often filled with morning-paper-regulars, offers a casual atmosphere with perhaps the friendliest service in town and the food is downright delicious. Bluegrass Grill rivals only the Irish in its love of potatoes; all of the scrambles and hash plates are made with boiled red skin potatoes that have been sautéed with onion and garlic. From there, a savory combination of veggies, eggs, or breakfast meats are added to each to create a selection of all-star breakfasts. Stringers Ridge truly illustrates the passion for outdoor recreation and natural beauty held in the hearts of Chattanooga’s outdoor community. Eight years ago, the property was potentially destined to become a development for several hundred condominiums atop the ridge. But thanks to a joint effort from The Trust for Public Land , The Tennessee River Gorge Trust , and local citizens outraged at the thought of destroying the natural landscape, the ridge is now home to a 92-acre outdoor playground. Today, only 10 minutes from downtown, Stringers Ridge is composed of 5 miles of weaving singletrack trails that traverse the ridgeline and offer unparalleled views of the North Shore and of the Tennessee River. Parking is available at either end of the park on Cherokee Boulevard (east) or Spears Avenue (west), and the trails can be enjoyed by runners of all levels. The spirited ascents and lively descents will certainly wake you up in the morning while the twisting turns keep things fun. Check out Stringers Ridge for your morning run, and then head over to The Bitter Alibi for brunch and locally-roasted Velo Coffee. 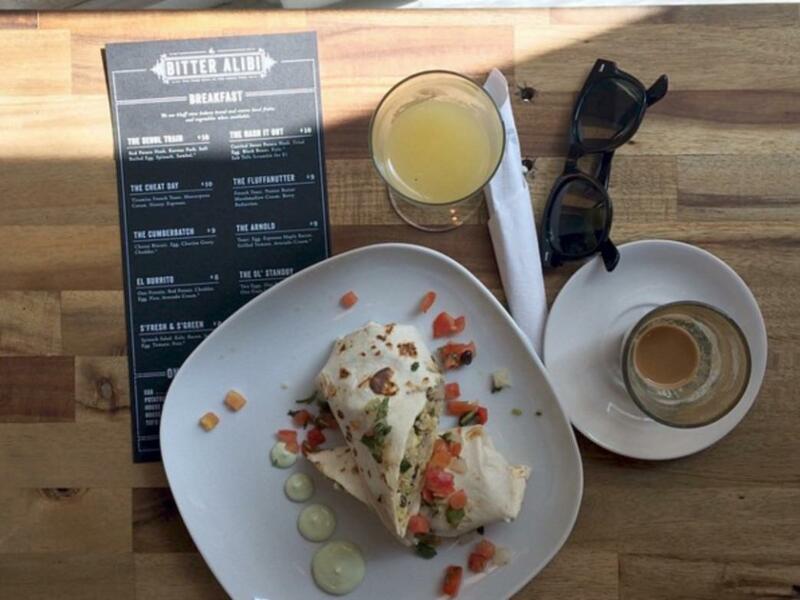 Perhaps better known for being the best basement bar in Chattanooga, The Bitter Alibi's brunch only adds to the growing list of reasons why you should visit this hip and homey little spot on Houston Street. The food menu is full of simple ingredients, yet elegant creations—think eggs, toast, potatoes, and veggies—and the drink menu features classic brunch drinks (mimosas and bloodies) and crazy inventive creations like the 'Wake N Bacon,' which has whiskey, orange juice, honey, maple syrup, and you guessed it... bacon. Top it all off with a friendly (and hilarious) waitstaff, and you're guaranteed a good time at The Bitter Alibi. It’s no wonder Chattanooga is home to such a strong trail running community when Lookout Mountain sits just 10 minutes from downtown. The network of trails that trace the slopes of Lookout Mountain are enough to challenge any runner. For a Sunday morning spent “running and brunching”, choose from any one of the many beautiful trails that Lookout boasts. The Big Daddy Loop is probably the crown jewel of Lookout Mountain trail running, but plenty of others hold their weight as well. The Guild Hardy comes to mind. The Point Park Loop is great. And the Cravens House Loop is a quick 4-miler that features a quad-burning, lung-busting climb up the Gum Springs Trail and a ripping descent back down the Bluff Trail . Your Sunday morning is not complete until you’ve brunched at the Flying Squirrel. Sunday is the only day the Squirrel opens her doors so early, so don’t be surprised if you are met with a wait. Still, there’s a reason the Squirrel has such a loyal Sunday customer base: the food is fantastic and the mimosas keep flowing! The brunch menu at the Squirrel brings some refinement to delicious southern-style cooking without taking away all the good stuff. Expect to find Fried Chicken, Grits, and Pimento Cheese but with a few surprises. 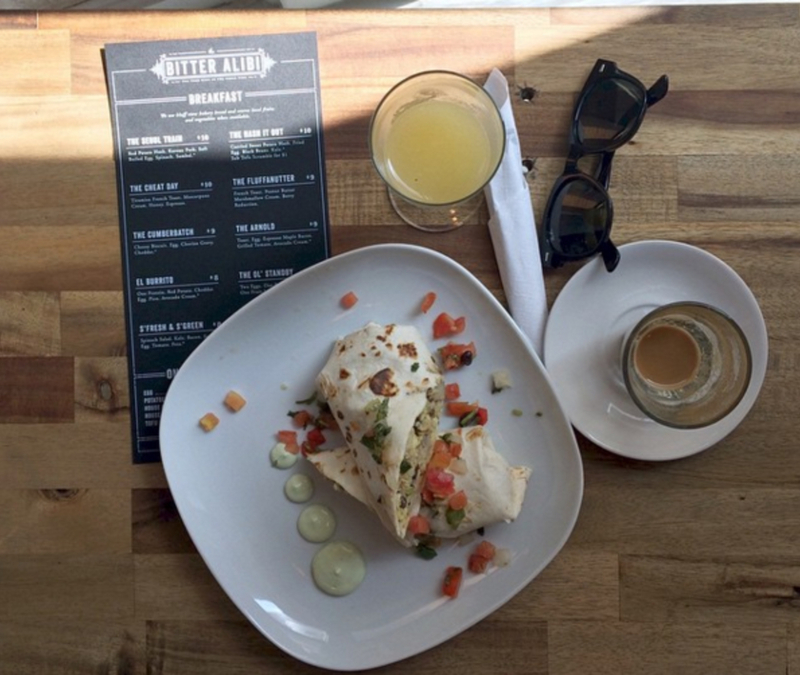 Oh, and the breakfast burrito is the best in town! Written by Hailey Moore for RootsRated. The Legend of Big Peach Running Co.